​When you are getting ready to buy or sell a house the condition of the window screens is probably the last thing on your mind. But don’t let such an easy fix be an afterthought. Missing and damaged screens can become a "deal-breaker", whether you are buying or selling a property. "I bought a home and it doesn't have any window screens". You wouldn’t believe how many people move into a home, a few weeks go by, they open a window to discover there’s no screen! 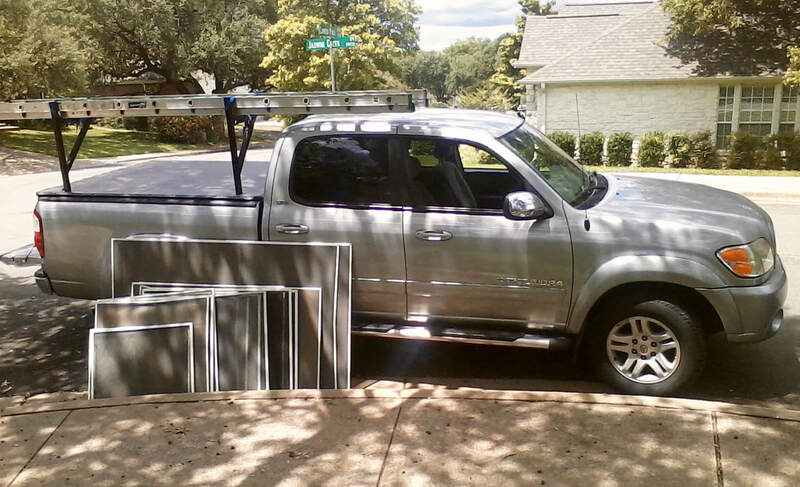 ​It is not uncommon for a seller to remove worn window screens to improve the appearance of the home. The sale goes through and in the commotion and excitement the window screens are forgotten. "i found all these screens in storage; could you tell which need to be replaced and install them for me"? Did you move into a new home, or do some spring cleaning and discover window screens in a variety of different conditions? If the frame is in good condition often all it needs is new screen fabric. Give us a call and we can help determine the good from the bad. Damaged sections are replaced and recycled, frames wiped clean and new fabric installed. "This room is so hot, we can't even sit in it!" Can’t beat that view from the west-facing windows! Except at 4 pm when the temperature in the room makes it feel like your sitting in an oven. At Well Done Window Screens, we carry Solar Screen, a window screen that significantly reduces the UV Rays entering through a window. Solar screens not only make a hot room more enjoyable to sit in but they can also reduce cooling costs, protect furniture from fading and reduce outward glare.